Even before reading it, I knew I was going to like this book because it was inspired by Black Phoenix Alchemy Lab and the amazing scents Beth Barrial creates. Within three pages, I was sucked into the world of the book, and it's a place I wanted to stay. 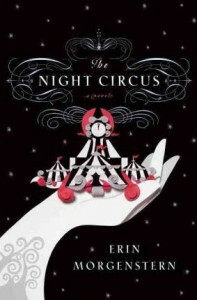 The novel is full of well-drawn characters, intriguing alternate history, sights and sounds and tastes and textures, a captivating plot and a really marvelous circus I want to visit! Ms. Barrial does an incredible job of translating words into scents and Ms. Morgenstern performs the same magic in reverse. While I would like more in this particular universe from Ms. Morganstern, I'll be happy with being able to read anything else from her in the (hopefully very near) future!